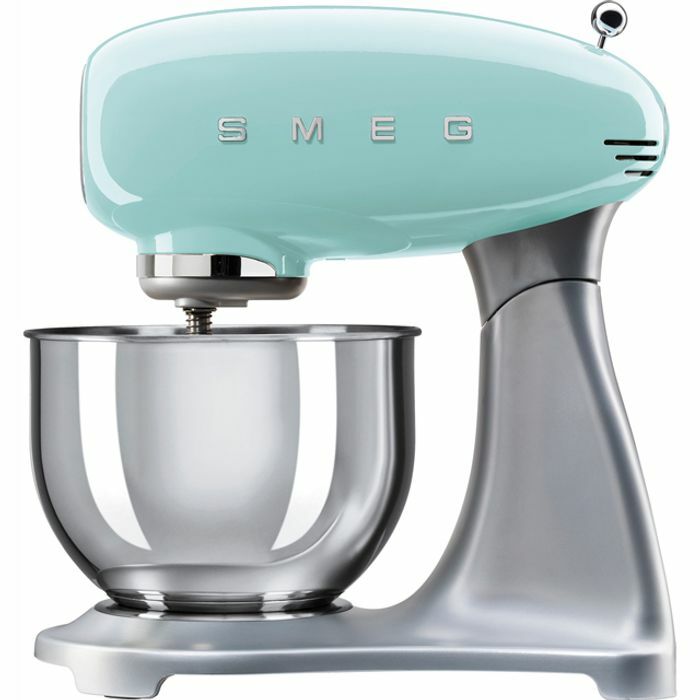 Whip up delicious cake batters with this retro pastel green food mixer from Smeg. It has an 800 Watt power output and a Soft Start feature which reaches your chosen speed setting in no time, so you can get mixing without the wait. Creating the perfect dough for homemade loaves has never been easier with the handy dough tool. It also has a safety lock which secures the bowl in place when you’re mixing. This model has a direct drive motor too, which is really hard-wearing while also being specially designed to cope with tough mixtures like thick fruit cake batters.